New Construction home by MasterCraft Builder Group. This open one story plan allows everyone to have their own spaces with split Bedrooms, an enclosed Study, and large Game Room. Timeless double-stacked white cabinets with soft close door and drawers and Cambria quartz counters showcase the Whirlpool stainless steel appliances-- built in microwave and oven, 36'' 5-burner cooktop, and hidden control dishwasher. Enjoy getting ready in the mornings by taking a soak in your free-standing tub or melting away the stress in the oversized frameless glass shower. Dual vanities prevent cramped elbows and bathroom battles for space. Distressed hardwood runs throughout the Foyer, Great Room, Kitchen, Nook, Game Room, Halls & Study. 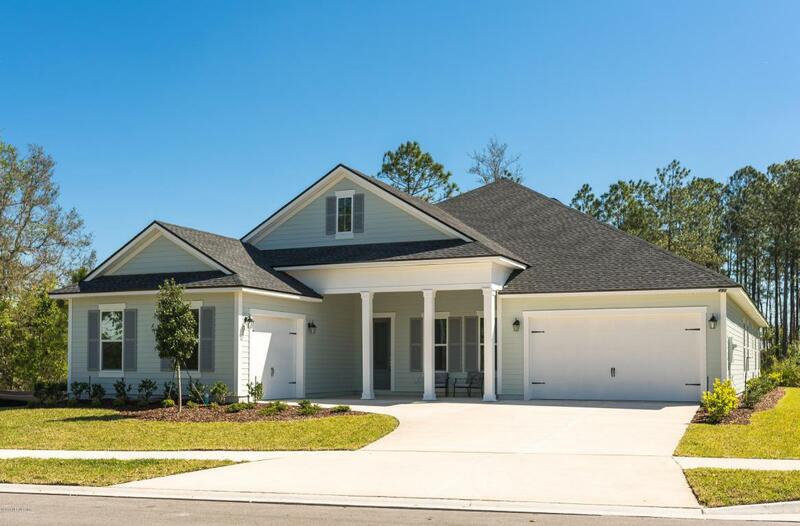 Listing courtesy of Sabal Realty Group Llc.